looking for that perfect Christmas tree to be displayed. A bit of gray now apparent on his angelic resting face. and always gravitates towards the warmth of the fire. He's my faithful friend through good times or bad. the laughter during some great old comedy shows. Always there watching the parades, he loves snoopy. supporter when others have fallen away by and by. more nostalgic, spending these quiet moments with him. My friend, part of my soul, my shadow, my old Hound. hot coffee warms cold hands. wood smoke wafts in the valley. a lone falling snowflake cheers. skipping rocks on the frozen lake. December on this Christmas Day. KEN ALLAN DRONSFIELD is a disabled veteran, poet and fabulist originally from New Hampshire, now residing on the plains of Oklahoma. 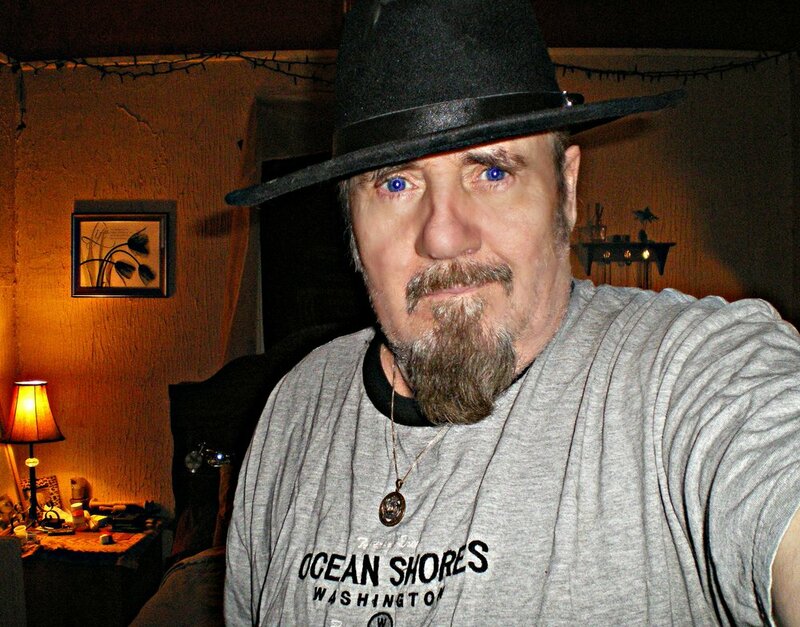 His two poetry books, "The Cellaring" a collection of 80 poems of light horror, paranormal, weird and wonderful work and his newest book, "A Taint of Pity", Life Poems Written with a Cracked Inflection, are available through Amazon.com. Ken is a three time Pushcart Prize and twice Best of the Net Nominee for 2016-2017. Ken loves writing, thunderstorms, walking in the woods and spending time with his cats Willa and Yumpy.